THE IMPOSSIBLE DREAM 2015 is about proving the POSSIBLE. There really is no impossible, and the Leukemia and Lymphoma Society has been proving it as more and more targeted cures are developed each day. Today we are BEATING this disease that was once considered hopeless and impossible to cure. The San Francisco 50 Mile Endurance Challenge !! My next marathon will be my 50th! To celebrate........, might as well run a very hard 50 miler !! We raised $5000.00 dollars with the last run, and hopefully we can do something amazing again with this run. Together, you have helped raise almost $9000.00 (this year) toward new cures and treatments for blood cancer and all forms of cancer. The goal is to raise $55,000 dollars and complete my 55th marathon by my birthday on July 20th. Click here to enter my Leukemia and Lymphoma Society fundraising site. I always make it clear that my running is a total act of faith. Blood cancer has messed this body up pretty badly and just walking is hard for me. I put my body at the starting line of crazy events and put God in charge. Wherever HE leads me, I will follow. I believe that God needs to always be put first in our lives and for us to follow his lead. Our strength comes from the spirit he blessed us with. He will light up the course before us. Running in complete darkness would be very difficult. We would stumble and fall and be lost. Having light and direction makes nothing impossible. Matthew 5:14 “You are the light of the world. A city set on a hill cannot be hidden. If you have not donated this year, please click on this link. It will bring you to our Leukemia and Lymphoma Society link. Thank-you everyone for making a difference in this world, and for having a heart that cares about others as we save lives from cancer. God bless all of you!!! I wish to introduce you to..... Jovhanna Anderson. I have never met this incredible young talent, but I did go to school with her dad long ago. Jovahnna offered to sing "The Impossible Dream" for our fundraising site and she practiced singing the song for several weeks. Jovhanna's dream is to get onto America's Got Talent or to just get discovered. With her beautiful voice, I am sure her dream will come true! The Canyons Endurance Challenge. The Hardest endurance event that I have ever attempted!!!! It all began last week at 5 am. 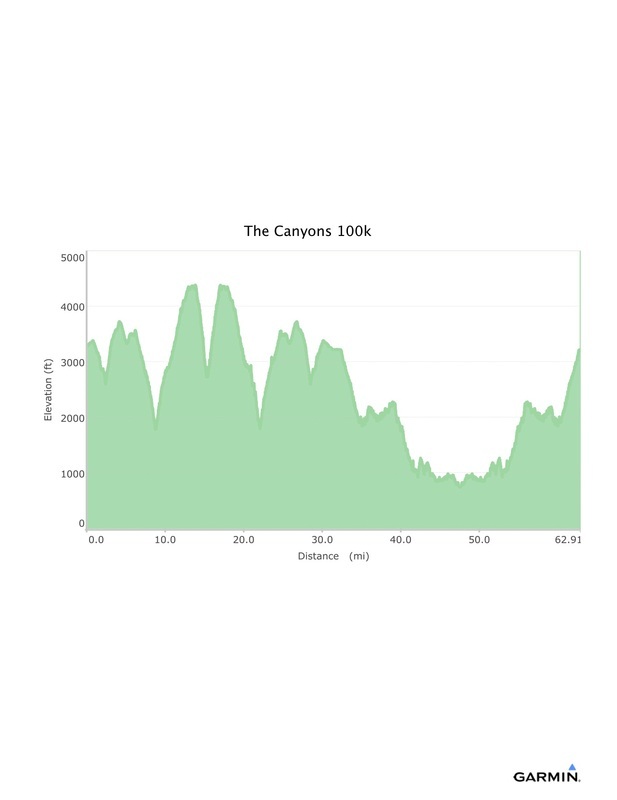 The Canyons 100k Endurance Challenge. A 63 mile journey with over 14,000 feet of hill climbing and 28,000 of elevation changes. Would this body that has been beaten down by blood cancer be able to ever see that finish line? The Day began with giving Anna her daily shot in the leg, her morning medicines as Laura prepared lunches for the kids. Laura dropped Anna off at school and I took Gabby to her kindergarten class. Watching her play on the monkey bars, hanging upside down and playing on the swings brought a huge smile to my face. She was having so much fun and happy that Daddy was right there. The 8:20 am bell soon sounded and it was time for Gabby to go see her favorite teacher; Mrs. Johnson. We hugged each other so tightly that morning and we gave each other so many kisses and said I love you again and again. Bye Gabster, I will see you Sunday. She said " I love you Daddy and I will miss you". We kissed and hugged again tightly and soon I was walking to the car with tears in my eyes. God is so amazing. Thank-you Birth Mommy Carrie Henry​ and Grandma Lori Sand​ for blessing our lives with two beautiful children. Forever Grateful. I drove home, grabbed my two bags and was soon off to begin the adventure that was ahead of me. I sat in the car and started praying again that God give me strength to take on a challenge so difficult, and to be my light and show me the way. I asked for him to light up the path before me and for his Angels to lead me and keep me safe. I was about a mile down the road and a brand new song came on the radio. It was called .........Impossible!!! I started cheering and shouting......Yeah!!!! Yeah!!!!!. Yeah!!! I had this BIG smile from ear to ear and started singing along. The next song that came on the radio was: Good Fight by Unspoken! I was overwhelmed at about this point and I knew God and Angels were hearing my prayers. The drive was incredible as I drove up to Sacramento to pick up my race number. When I arrived Fleet Feet, the very next person I saw was Deirdre Malone Greenholz. The reason that I even signed up for this crazy event was for the opportunity for us to run together. We were so happy to see each other as she lead me to her car. She gave me a very special running bracelet that says" EVERY DAY IS A GIFT". I have worn it everyday since she gave it to me. Deirdre was busy checking in runners and handing out race bibs, so I continued my travel to the town of Auburn, California. I checked in to the Inn where I was staying /which was 17 miles away from the starting line in Foresthill, California.There was big cigarette burn hole in the bedspread as I checked for bedbugs and other critters. I took that bedspread off and placed it off into a corner on the floor. The bed was hard.......like a rock, and their were holes in the wall too. Definitely, not the Garden of Eden. I really did not care, as long as it had hot water and a clean bathtub for after the event. I drove to the store and bought lots of water, electrolyte drinks, bagels, pop tarts ( yes...Pop Tarts) and other treats too. Dinner was a huge plate of pasta and lots of bread and water. I wrote one last Facebook post and sent out one more email asking for donations and was in bed by 8:30 pm. Just share the link with others. For any of you that might not know me, I have an extremely rare form of blood cancer that 4 people in 1,000,000 might get diagnosed with. I've gone through all kinds of treatments and my numbers are good right now. It still remains non curable at this time, but it's treatable and manageable with all the new drugs and treatments. The drawbacks are the leftover symptoms that never went away. Nerve damage is the worst offender. My toes, feet and legs feel like they have been ran over and crushed by a bus. Horrifically painful and I have a hard time lifting my legs. Other symptoms are incredible head pressure and a light headed feeling. It sure makes running challenging and it keeps getting worse. 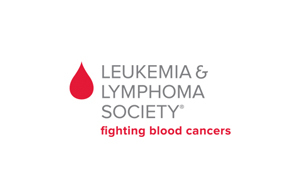 I run only as a way to raise money for the Leukemia and Lymphoma Society. The donations fund 100's of researchers across the USA that work full time to develop new cures for Leukemia, Lymphoma and Myeloma. LLS, helps patients with co payments, transportation and prescriptions too. They advocate for patients before congress and put newly developed drugs within a patients reach. Drugs keep coming about, but sometimes insurance companies might not offer to the patient due to cost. LLS, ends that practice as they fight for patient rights. If you have not donated, I hope you will join my fight! The alarm was set for 2 am, but I was wide awake at 11:30. That bed sure was hard!!! I brushed my teeth, shaved, showered, bandaged toes and put on running clothes. I went to kneel by the bed to pray, but that carpet looked kinda gross. I grabbed a towel first, and placed it on the floor beside the bed. I guess I am a bit neurotic !! I prayed again that God light up the course before me and show me the way. I prayed again that his Angels guide me and not let me get lost. I soon clicked on the Honoree tab on the Impossible -Dream website and started looking at my Angels that I talk to as I run. I started thinking about their cancer bout's and how they fought so very hard. My Dad........,Josh Knoblock, Greg Fiveash, Keith Fernandes, Justin Estrada, DeMaris Wilkinson Cowan, Alden Malachowski, and so many more!!! Then, I think of all those that BEAT cancer!! Susanne, Breezy, Josh, Cynthia, Kendra, Brian, Jen, and many more. Then, I think of all those that battle as I write this: especially Bill Turpie, and Stan Roe. Special prayers to Jennifer !! By now, my eyes are all red as the tears keep pouring out of them. I run for a reason, and that is to end this disease. We ended up raising over $5000.00 for the cause with this one run and that was the fuel I needed for the day.I drove to Foresthill, and was standing at the starting area around 4:00 am. I looked up and their was the BIGGEST FULL MOON ever as stars fill the sky. This huge smile lit up my face and tears filled my eyes. I asked God to light up the course before me and that was biggest light bulb ever. Tears were in my eyes again! Soon I caught up with Deirdre and all her friends as my heart raced inside. Would this broken down old body be able to pull off this event and make it back to the finish line by 11:59 pm? We left the start at 5 am with headlights on our hats. I kept looking for Coach Tim that was running the race also, but did not see him. About a mile out, this guy kept bumping into me as I ran. Why does he keep bumping into me, I kept thinking? It was Coach Tim having fun with me!! Within a few miles we started climbing and climbing for around 7 miles. Coach Tim was gone like a mountain goat as he climbed those hills. Deirdre and her friend Chloe slowed their pace way down so I could keep up. Deirdre said we need to break the race down into four separate 25k races. Each 25k distance was a different strategy. 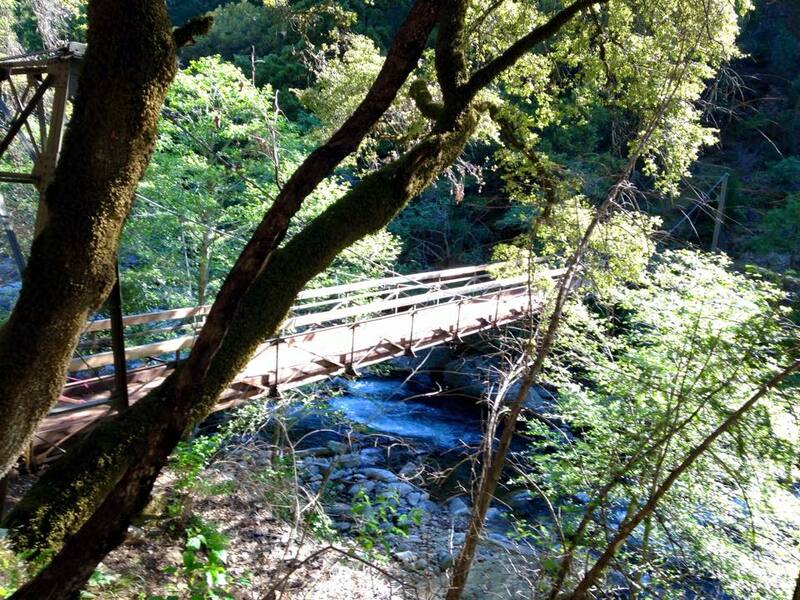 From about 8 to mile 12 was a 2500 foot climb and then a big 1200 foot decent to the Swinging Bridge at mile 15. At the 15 mile turn around, Deirdre turned on the mountain goat legs and was heading up that big hill. She had her rocket boosters on and she was gone like the wind. My body was not doing very good at this point as Chloe and I headed up that 1200' hill. We kinda stayed together back and fourth throughout the day. The neuropathy in my legs was getting bad, and my toes were screaming at me. It was getting harder and harder to lift my legs and I still had 40 miles to go. This guy started calling me " Relentless" because that's what it said on my Leukemia and Lymphoma Society Shirt that I wore. His name was Doug, but I didn't know that till later. We started talking now and then as we traveled along. We stopped at an aid station and I had some M & M's, filled water bottles and I started eating my Pop Tarts. They are good for 200 calories each and the sugar helps when you run far. Doug had the watermelon, as the volunteers filled his bottles. As we climbed out of the canyon, Doug kept giving me directions, as he told me what was coming next. Doug said for me to go ahead of him, as he dropped back a little. He started getting sick to his stomach after eating at the last aid station. Another girl in the canyon did the same thing. The sounds of vomiting echoed in the canyons walls. I checked in with Doug at the next aid station, that was just up the way. He said" no more watermelon". He felt much better after just puking out his guts. I felt so bad for this guy, as we kinda started bonding more. He again told me where the course goes next, what hills were coming, and what river crossings to expect. He kept guiding me the entire time. We reached the 50k finish line at about 1:30 pm. That was the same spot where we started the event earlier that morning. I was hobbling along and could not run anymore. I sat in a chair and drank lots of ice water and put ice cubes in my hat. It was 80 plus degrees outside and the sun was wearing me down. I still had another 50k to go too!!! Finally, I got up and started moving slowly. I caught up with Chloe as we headed out together. Doug was just behind us and soon Chloe was gone. The Western States Trail is sometimes 3' wide and with big steep drops down into the deep canyons below. All I could do is walk at about 15 to 16 minute miles. The legs were trashed and it was a downhill to about mile 44 which is an area called Ruka a Chuky. I started praying for God to give me strength to make it all the way to mile 63. I kept thinking about all my cancer warriors and that this was nothing compared to what they went through. I called upon my Angels that I make this journey safely to the end. The sun went down and the day soon turned to night. That Big beautiful full moon lit up the sky above and the stars came out. Thank you Father in Heaven for lighting up the course before me. I turned on my headlight and started moving again. The Pop Tarts were kicking into gear as centipedes filled the trails. It sure was a big drop down into that canyon below as I prayed I did not see a Bear on the trail. I soon caught up with Doug, and Chloe was long gone. She's amazing and super sweet too! Doug asked how familiar I was with the trail? I have never been on the trail before, I said. He never left me alone after that point. He said stay close to me as he pointed out river crossings, steep climbs, and fire trails. What an incredible guy!! He watched over me and guided me all the way till we reached the asphalt /less than a mile away from the finish line. He said we still had 17 minutes to go before the 11:59 pm cut off. I said: "Go, you need to Go". He still wanted to stay with me, but I wanted him to finish before the clock deadline. I could hear everyone cheering him as he headed toward the finish line. There were still lots of people cheering so late in the evening, which shows the heart of an ultra runner. It was going to be a close call if I would make it in time. I soon started to see the cheering crowd. I could hear Deirdre screaming and yelling and in the distance. Wow, she sure runs some hard events and she's fast too. This was the most amazingly hard but incredible event I have ever attempted. I prayed earlier that morning that Angels guide me and show me the way. Doug was my Angel and I am forever grateful!! Deirdre was my inspiration for signing up for such a crazy challenge. Coach Tim was about an hour away from Foresthill, and drove back just to find me. The Race Director was one of the greatest guys as he calmed my family all night! His phone was ringing off the hook! I finally crossed that finish line around 11:52 am. This endurance challenge was an act of faith! Thank-you father in Heaven ! Thank you for all your very kind donations!!!! Thank-you Leukemia and Lymphoma Society!!!!!! On October 25th, I attended a blood cancer seminar in Los Angeles. It was an all day event packed with researchers, doctors, patients and family members. Because of all the donations that keep coming in, research grants keep getting awarded to further solve the mysteries of blood cancer. Dr. Steven Treon, M.D, Ph.D., Dana Farber Cancer Institute spoke about Waldenstrom's Macroglobulinemia and Cryoglobulinemia. He thanked LLS twice for the research grants. MYD88 and CXCR4 WHIM-like mutations offer a targeted treatment approach for Waldenstrom's Macroglobulinemia. Over 230 doctors and researchers across the world in 34 countries are now following this blood disease that I have. They are finding ways to inhibit the cancer cells from growing!!! Whew Whew!!! Thank-you LLS and Dr. Treon for helping us irradiate cancer! !